You can always count on Dame Vivienne Westwood to keep things interesting. Painted heart faces, ‘alien’ eye makeup and vibrant nail wraps stole her SS13 Paris Fashion Week show! The Brit fashion designer is always surprising us – her latest collaboration with dream nail team Marian Newman and Nail Rock creator Zoe Pocock has been described as “bling on bling, rock on rock”. Dramatic, luxurious and opulent, baroque detail is going to be huge for AW12, but as usual Dame Viv is two steps ahead. The nail technician’s bespoke designs perfectly complemented the new collection! 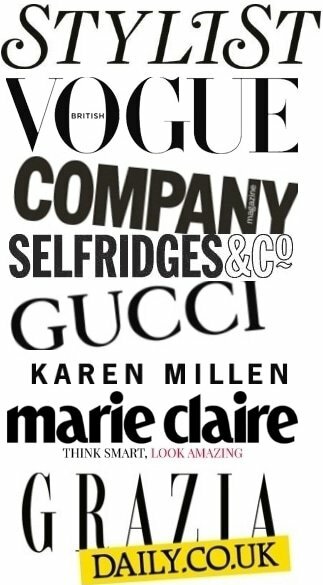 Make up genius Val Garland described the look to Grazia as “tribal mixed with alien and Marie Antoinette”. This translated as white and brown painted faces using heart shaped stencils (Marie Antoinette), white “punctuation” in the eyes (alien) and a black outline of the heart shape faces (tribal). We’re so inspired! Over in London last month, the bargain nail wrap brand were responsible for finishing off key looks for David Koma, Fred Butler, Meadham Kirchhoff and of course Vivienne Westwood Red Label. 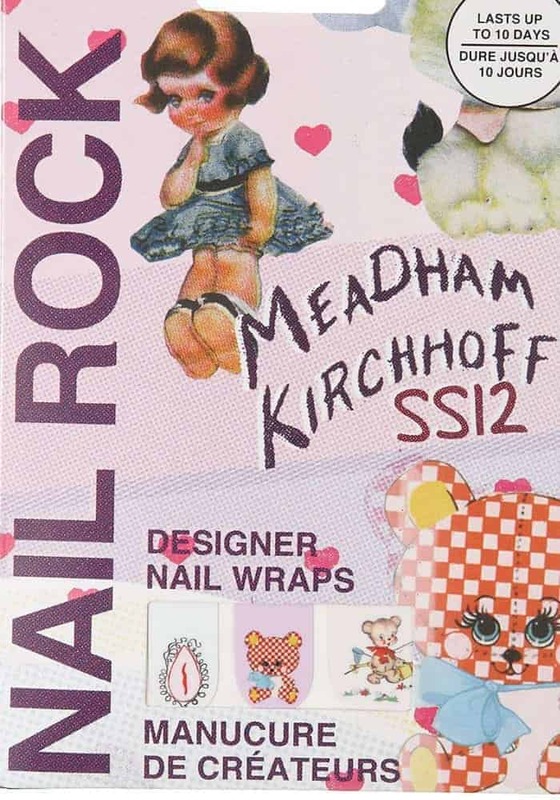 At Meadham Kirchhoff, nails were decorated with different coloured gems, while Vivienne Westwood’s fifties-inspired Red Label line was complemented with pastel pink hues and delicate white half moons. David Koma’s models were decorated with exquisite monochrome ‘netting’ effect nails, but nothing compared to the designs worn by the girls at Fred Butler – giant bumblebees on each and every finger! appearance of real stones. 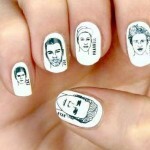 Toes were also adorned with matching nail wraps – we’ll definitely be trying this at home. Zoe Pocock said of the collaboration: ‘This is the second show we have done with Vivienne Westwood this season… the nails looked like real stones which stood out beautifully next to the collection. The great thing about Nail Rock is that we can develop the designs to complement the collection and the nature of the product means we can adorn all the models nails quickly with no drying time’. It’s easy to get the Fashion Week look – there are dozens of fun, affordable Nail Rock designs on offer to offset your winter wardrobe. 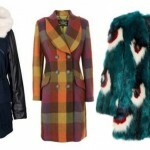 I love the Meadham Kirchhoff wraps from ASOS.com – they’re just £4, down from £8! Wraps are perfect if you struggle to apply nail varnish neatly or hate waiting for your nails to dry – why not give them a go?